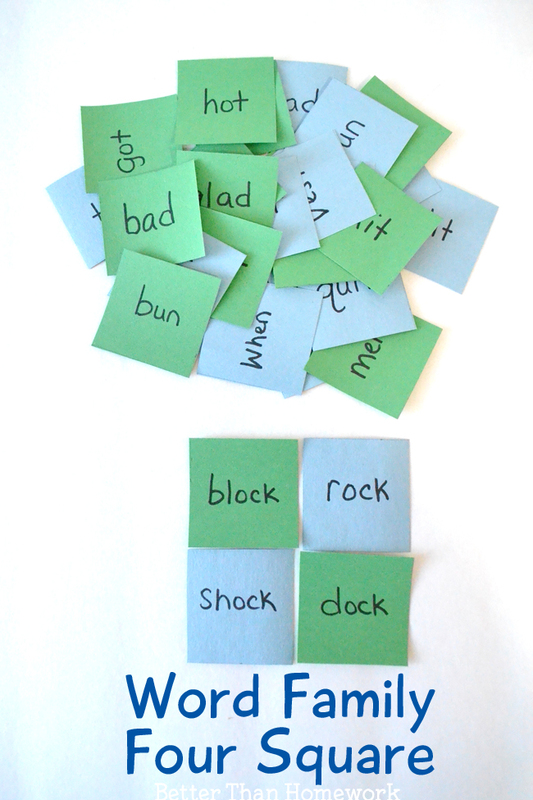 Word families are one of the building blocks for learning to read. If you have a good grasp on word families, you’ll be well on your way to decoding words. And, the more words you can decode, the better you can read. Word families are that important. 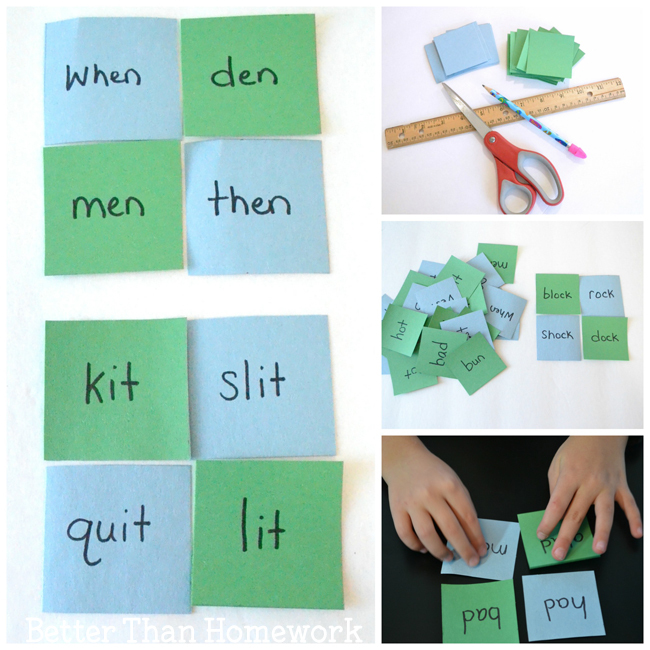 This simple word family game is easy to make and a fun way for your child to practice recognizing and reading word families. 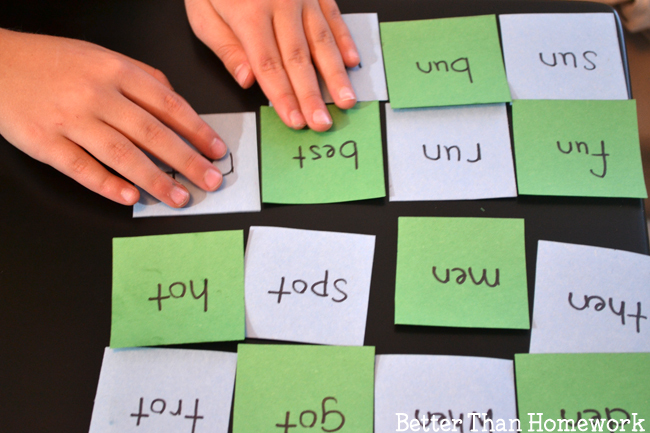 Word Families, sometimes known as phonograms, are the one syllable endings of a group of words. For example, the -at family would contain the words hat, cat, chat, that, sat, etc. This game supports any group of word families. Select the ones that your child is working on in class or any that you see your child struggling with. I do like this list to use for reference. You can find the most common word families and many examples of each at this link. Next, choose your words. You will need eight different sets of word families, each set will have four words. 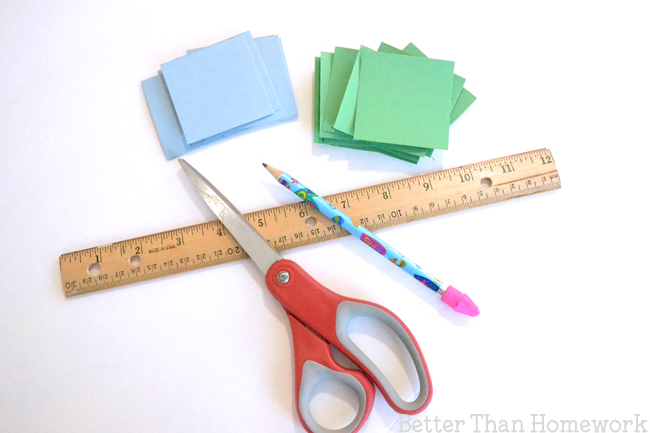 Use two squares of one color and two squares of your second color for each set. 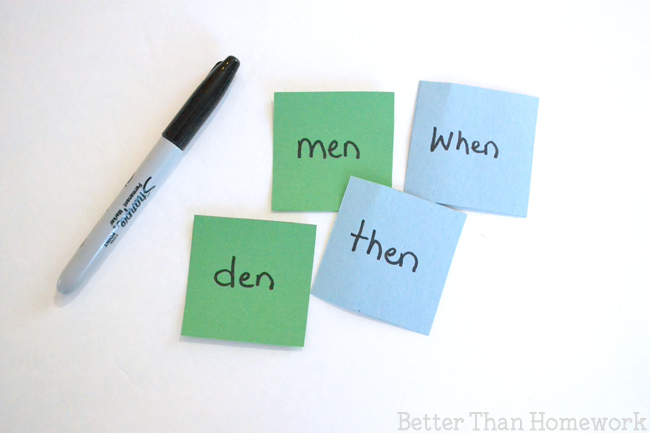 For example, in the above picture, I used the -en family: den, men, when, then. Put words on each of your squares. Mix up all your word family and spread them out. 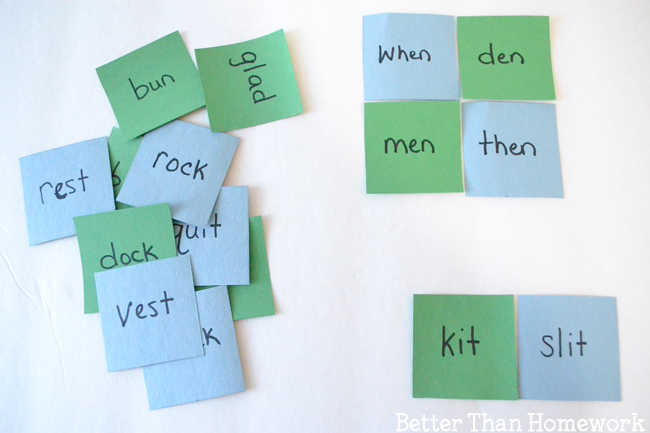 Challenge your child to create eight different four squares of words by sorting the squares into word families. This words best as a single-player game. But, two kids can play together. Just have them take turns putting together their four squares. When you’re done, you’ll have eight different larger squares for each word family. If you put them all together, you’ll have a larger word quilt. Practice reading the words out loud after you create a four square. Can you name even more words for each word family? 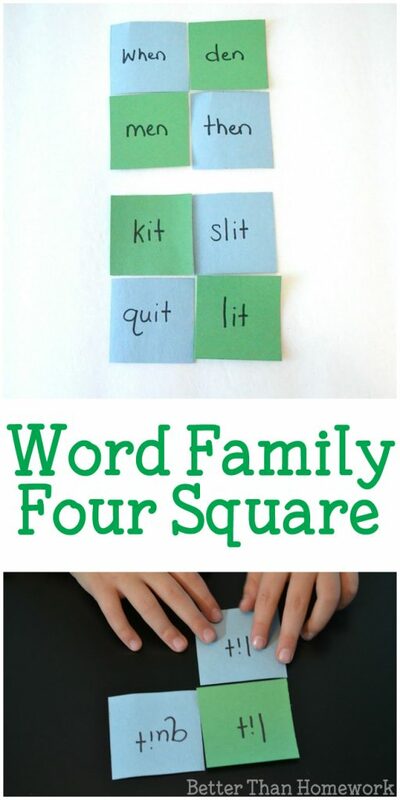 After your child makes a four square, challenge them to name two more words for each word family. Choose one of the Word Family Four Squares and see if you can find more examples in a favorite book. How would you add to the fun? Did you enjoy this word family game? You can share the above image on Facebook. Or, the below image is perfect for Pinning.